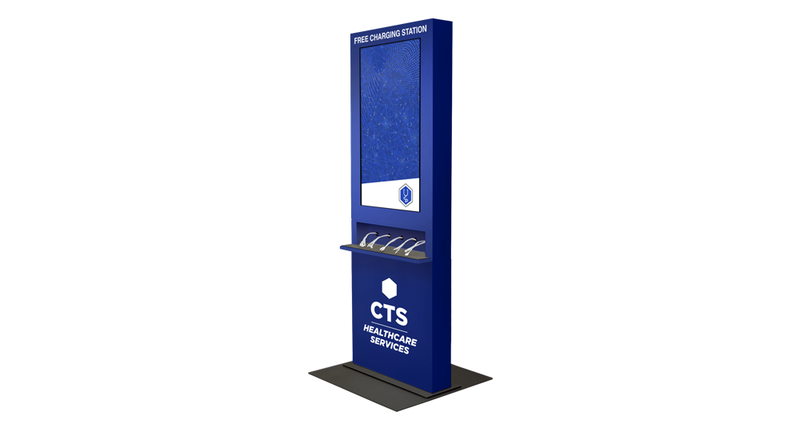 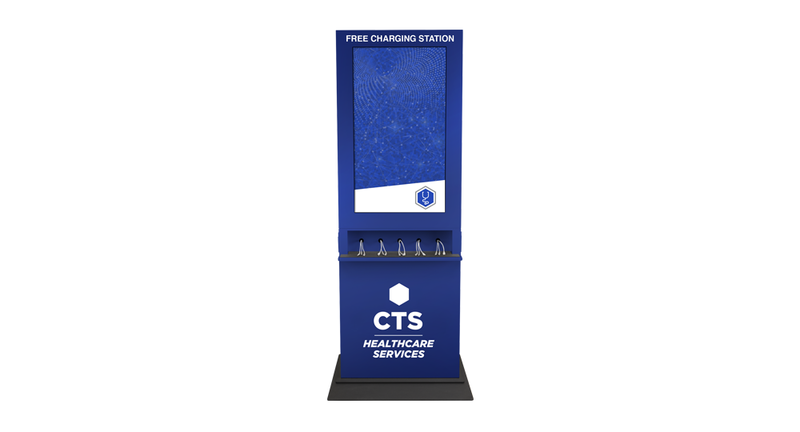 The CTS Charging Station allows your healthcare organization to provide a needed and meaningful service to your patients as well as their waiting family members. 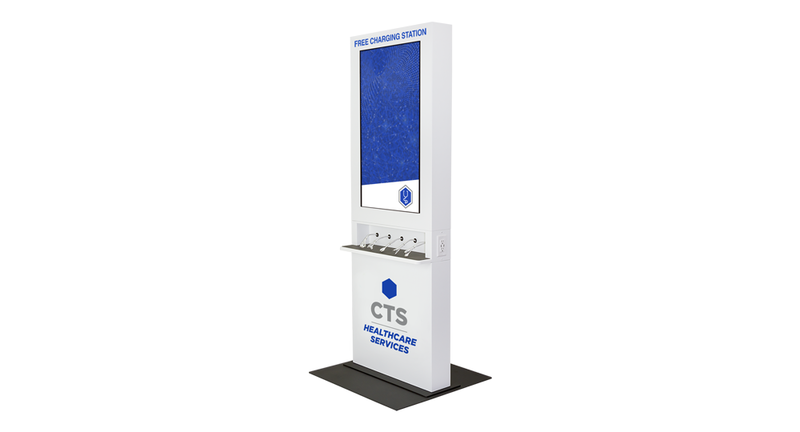 With the ability to charge all major types of portable devices you can present branding, run media content while increasing patient satisfaction. 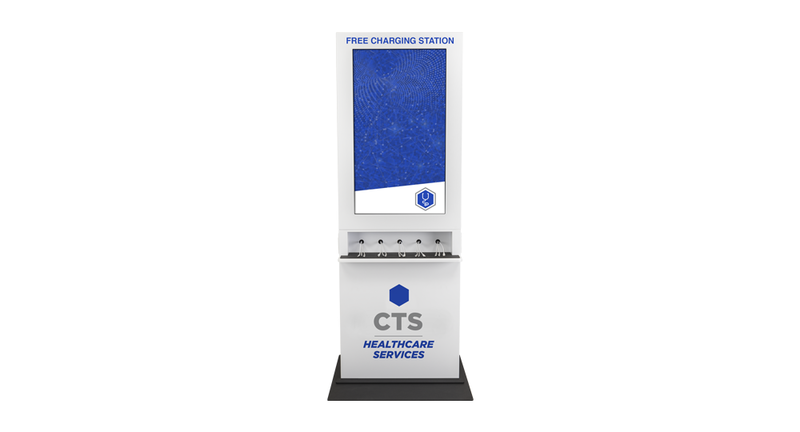 The charging station incorporates a sophisticated process of vinyl layering providing nearly an infinite choice of customized imagery allowing the enclosure to be integrated seamlessly into existing decor.